Weather : UK's weather keeps changing very frequently. So, make sure you find out how the weather will be on te day you would be in London. To know about future weather, you can click here. Travel : "Oyster Card" is generally the cheapest way to make single journeys in the Capital. Its cheaper that the normal tickets. 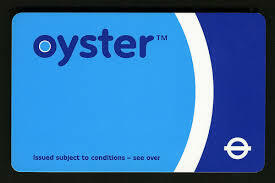 You can get an oyester in a tube station in any of the counters / tills or Oyester machines (Some tube stations). You can top up the oyester enough so that it automatically gets converted into an unlimited day travel card / weekly travel card / monthly travel card (both buses and tubes). Which means that you can travel to any tube stations and bus stations in London for unlimited Journeys. Please note that to convert the oyester card to a monthly travel card, you need to register your card . You can do this by approaching any agent on any of the counters / tills in a tube station. To know more click on the following link. A> Catch a tube from Hounslow West tube station, which will run on the Piccadilly line. Get off at King's Cross St. Pancras. B> Look for signs which read Hammersmith and City Line or Metropolitan line or Circle line. Follow any of these 3 lines and catch a tube to Liverpool Street station. Please click here fot get a London Tube Map. Smoking : You are not allowed to smoke in public places. Rain : Though it does not rain heavily in London, one should always carry an umbrella with him / her as the weather is very unpredictable. Planned station closures : Underground stations remain cosed many times due to planned work. You can keep yourself updated with the latest information on planned station closured here. In case of any unplanned closures, alternate free bus service is arranged. 7. Honking : Honking is considered to be very rude. 8. "Please" : Its nice to use please for every request you make to some one here. 9. Chavs : Be aware of young teen "Chavs". "Chav" is an aggressive teenager, typically unemployed or of white working class background, who repeatedly engages in anti-social behaviour, such as street drinking, drug abuse and rowdiness, or other forms of juvenile delinquency. Comment - London is without a doubt best attraction in London. You will get view city of London from the top...It's truly amazing!